We met when we were only eighteen and nineteen; I, a three-semester college girl, he a high school graduate. It was love at first sight. Our parents were thrilled we had found someone that would love us, piercings, dyed hair, dreadlocks and all. Nine and a half years later, we married. Probably one of the wiser decisions we ever made-no teenage elopement or early pregnancy. 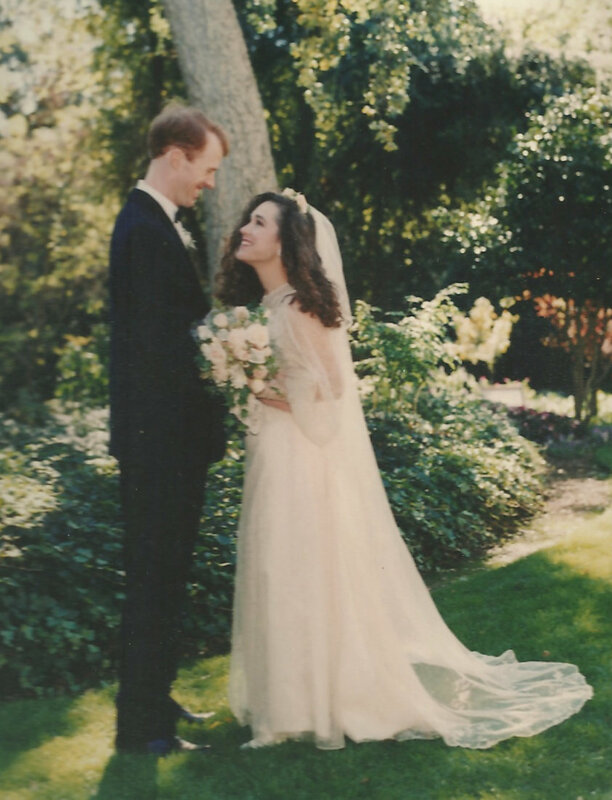 College graduates, employed, and homeowners when we finally took our vows, but edging closer to that magic number: 30. After dating for so long, my goal was to be 30, married and pregnant. Despite my non-conformist lifestyle, something inside me knew that I needed to make this milestone. My twenties were chaotic at best, but eventually had smoothed out and created a life path that I had planned: marriage and motherhood. I was of the generation growing up after the women’s movement, but before many of our mothers followed an nontraditional path. I knew how it was supposed to go. I made my goal, and after that, nothing went as expected. Turns out, working and mothering are an excruciatingly hard combination. What I thought I could handle ended up rocking my world upside down and sideways. Navigating an infant, a breast pump, a husband and a classroom full of fifth graders proved to be…challenging. Full time motherhood and full time teaching didn’t seem to be a great fit. I wanted them both. I felt my dreams crumbling away. The next year I took a chance and changed jobs, thinking that 80% employment would be better. 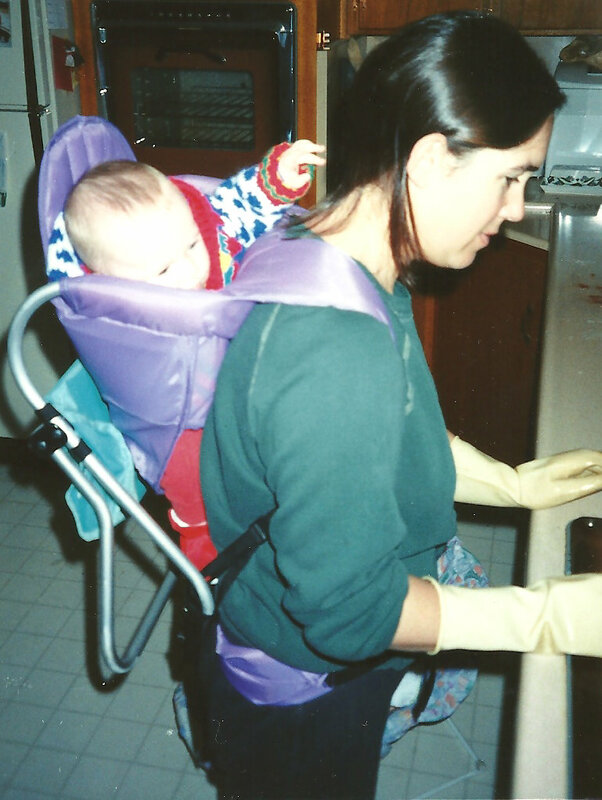 I was right; working with my more familiar middle school aged kids allowed me to focus less on the curriculum and more on my baby, but…there was still no free time, no long nap times to get papers graded, and the household responsibilities were still there, waiting. The 12:30 baby handoff allowed us to escape childcare, but our couple time disintegrated into late-night dinners and frantic eye-contact while trying to rock the baby to sleep. This wasn’t how it was supposed to go. I grew frustrated that I couldn’t handle it all: job, marriage, motherhood. Didn’t I have exactly what I’d always dreamed of? Sixteen years and one more child later, I’m learning that actually, it went exactly as it was supposed to. That’s how life is. I learned I am living out my dreams. I have what I wanted, and actually, much more. But more importantly, I’m learning that women like me, all throughout history, have and continue to walk this line of confusion in the search for their ideal life. While we share the same desires and dreams for the milestones in their worlds – love, family, success, fulfillment, and comfort – today’s women face challenges like never before. The centuries of liberation which benefited women have come with a price, and today’s we’re charting a new course. We have more options, more choices, and more demands than ever. We try to balance it all, while maintaining that sense of what women are supposed to do with what we know we need to do. Our mothers and grandmothers had no idea what a blessed curse they were bestowing on their daughters and granddaughters as they fought for equal rights, and with them, the absolute blossoming that would come decades and centuries later. Today’s women push non-conformity in interesting, dynamic ways, all the while grapping with what happens to women who bend today’s rules of propriety and customary behavior? We wonder how we will have to pay for blurring the lines between what is expected of us as wives, mothers, and women and the urge to have it all, to do it all, and to blossom into what we were meant to be? Can we chart the course for our own daughters, who themselves will be past the image of stay-at-home moms as the norm? Sixteen years ago, I had no idea this is what life had in store for me. Sixteen years from now, will my baby girl blossom into a kind of woman I could never imagine? This post was inspired by Saturday Night Widows by Becky Aikman. After being kicked out of her widow support group for being too young, Becky creates her own support group with an unusual twist. Join From Left to Write on February 14 as we discuss Saturday Night Widows. As a member, I received a copy of the book for review purposes. Click here to purchase your copy of Saturday Night Widows at Amazon. I love that you talked about the idea of “having it all” That something always suffers. I work PT since having my son, but I feel like I am never all it one place, never all at home, never all at work. …So very, very grateful to share the journey – in all of its wholeness. “The 12:30 baby handoff allowed us to escape childcare, but our couple time disintegrated into late-night dinners and frantic eye-contact while trying to rock the baby to sleep.” Ahhh, the parenting pass-off. We know that one. While I don’t fit the demographic focus of this post, I certainly appreciate the insight and reflection. It was a great read. Thanks Jennifer! I truly enjoyed reading this. I have a toddler and I am expecting another baby next month. I also teach full-time AP English. Balancing everything is insanely difficult (this is even the case for those with no children). While I continuously oscillate between frustration, contentment, and anxiety, I am greatly comforted by the fact that, indeed, I am not alone: others understand and have experienced a wonderful journey despite the struggles. As of now, I am trying my very best to streamline work (and, yes, cut back), so that I can be the mom and wife I need and want to be. Again, thank you for your story and insights. It is a very, very difficult job juggling everything that we want, especially when we get it. I remember the 18 months I spent working after my daughter was born, and they were hell. And then the next 18 months, spent as a stay-at-home mom to an infant an 2-year-old, were worse in many ways, as much as I love my kids and am grateful I was able to leave my job to be with them. I had no idea how hard it would be… and it still is. Stay-at-home mom, work-at-home mom, work-out-of-home mom… it doesn’t matter. Balancing marriage, children, career, and home responsibilities and life can feel like it’s sucking the life out of you, at times. And yet, it’s all worth it, and it helps us develop into the people we’re supposed to be. SAHMs are getting rarer and rarer. I’m willing to bet they will be nearly non-existent by the time our girls are moms. How strange. Jennifer, your post resonates with me. I’ve only been a mother for 7 years but it took me 5 of those years to realize that I just cannot do it all. And that was ok. This year, I’m focusing on working smarter and listening to my body and my intuition before taking on new projects. I studied abroad in Latvia when I was in college. When I talked to women there about my feminist desires to be a mother and work a full time job, they laughed at me. They wanted the right to jot have to “have it all.”. Now, I see where they were coming from. Thanks for a thoughtful post! It would be interesting to watch how their perspective might change over time, as did ours in America. Thanks so much for commenting! Drats! I tried to cOmment, but it disappeared. Your blog made me recall a discussion of women’s rights when I sudied abroad in Latvia over 20 years ago. The women there wanted the “right” to be able to stay home and NOT have to work. Now a working mother, I finally get what they meant! I work full-time in a demanding job and often comment to my husband I never could have done this if we would have had children. I would have had to work part-time. My sister recently had her third baby (Opps) and is really struggling. She changed her hours, so she could be home when her oldest gets off the bus – day care is running havoc with their finances. Now she has to be in bed by 7:30 to get a decent night of sleep. Yeah, that happens. My mom was helping out by babysitting became disoriented while driving to her house and was in an accident. Now she can’t drive or babysit. She doesn’t want to quit her job, she feels they need her income and benefits. I live to far away to help out. It is very hard. Savvy Working Gal recently posted…How to find a support group? You are an inspiration. Bring your friend over the past 30+ years, I have seen you continue to grow into an ever amazing woman. I totally agree with your description of ‘having it all’ and know I could never communicate it as clearly and meaningfully as you do. I am so grateful to have you in my life. You make me want to be a better person. You go girl! Lisa, Thank you so so much for sharing this. You have been right by my side longer than anyone I know, and my gratitude for that is deep. So happy we are traveling this journey together. Your strength, intelligence and courage amazes me. Love you.